Reading old books reminds you that nothing has changed. 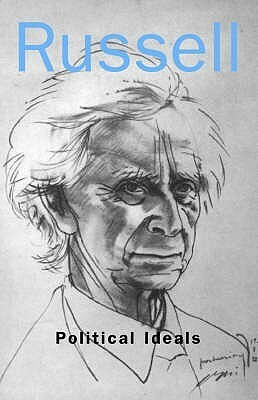 Political Ideals is an essay Bertrand Russell wrote during World War 1 – stay tuned for WW3 – that offers critiques of capitalism, socialism, nationalism, politics, education, and offers insights into how we should go about building a better society. He does this in less than 100 pages. “Few men seem to realize how many of the evils from which we suffer are wholly unnecessary, and that they could be abolished by a united effort within a few years. If a majority in every civilized country so desired, we could, within twenty years, abolish all abject poverty, quite half the illness in the world, the whole economic slavery which binds down nine-tenths of our population; we could fill the world with beauty and joy, and secure the reign of universal peace. It is only because men are apathetic that this is not achieved, only because imagination is sluggish, and what always has been is regarded as what always must be. With good-will, generosity, intelligence, these things could be brought about.” Source. This quote has been paraphrased, rephrased, and appropriated by many in the last century (although, I’m sure these thoughts weren’t original when he wrote them). It shows Russell’s reputation as a founder of modern analytic philosophy and as having made significant contributions to many subjects is well deserved. Few could so concisely state such a complex social idea. Meditations were something Marcus (we’re on a first name basis here) wrote for his own moral improvement, to remind himself of and cement the Stoic doctrines he wanted to live by. Things like the world is governed by Providence (which certainly lets him off the hook for all those people fed to the lions during his reign); that happiness lies in virtue and your will to follow it; and that you should not be angry at others. Journalling of this sort was something Epictetus advised, which has resulted in a collection of notes, reminders, aphorisms, and slogans for every occasion. There is a lot to like about Meditations. It felt like a self-help book but written with a more philosophical bent and less of the “you too can achieve greatness (and give me lots of money) if you follow my twelve rules for life”. It isn’t without problems, such as those outlined in Russell’s History of Western Philosophy. I also found Marcus’ musings on the Deliberative Content Problem to swing between ideas and thus come off as confused. 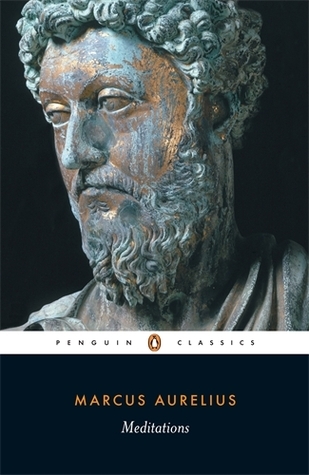 This is my second major reading of Stoic philosophy. I’m coming to the conclusion that Stoicism does seem to have a lot to offer. I’m still unclear if reading for pleasure is virtuous. I’m going to pretend that it is. The former biologist and current philosopher, Massimo Pigliucci, guides us through stoicism and lots of conversations with his imaginary friend, Epictetus. I probably shouldn’t write book blurbs, because this was way more interesting than my previous sentence implies. 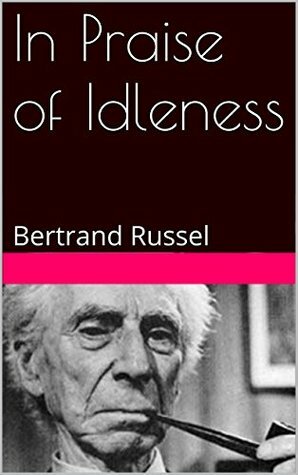 Before reading this book, my only understandings of stoicism came from Bertrand Russell. That is to say, I had a snarky and somewhat dismissive understanding of stoicism because Russell wasn’t a fan. Massimo dispelled my misunderstandings and also showed how stoicism could be applied to modern life. Book title goal achieved! There are two highlights from this book. The first is that Massimo has managed to communicate his philosophy clearly and in a way that I think most people would be able to understand and engage with. The second is that he also manages to upsell readers on the idea of becoming a stoic. 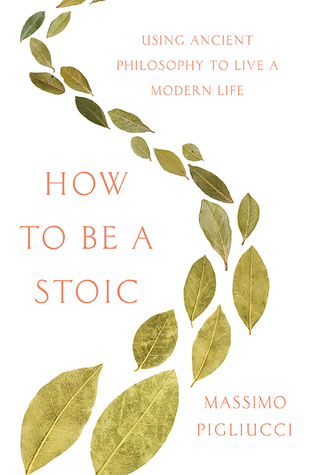 I’m not saying I’m rushing out to join Cult Stoic, but there are a lot of good ideas here for people to learn. 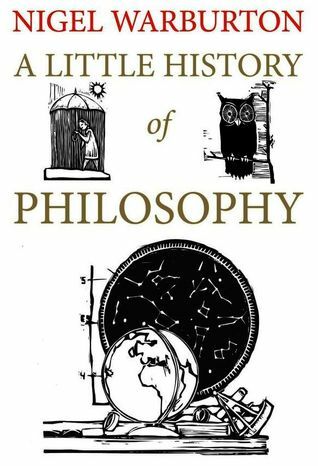 After recently reading Bertrand Russell’s A History of Western Philosophy I thought I’d read a book that covered the same topic with less of the surrounding history and more of the philosophy overview. Nigel Warburton does this well in a brief, clear, and accessible manner. A strength of the overview is how he ties theories and influences together (e.g. Brentham to Mill, Mill to Russell) so that you can see how thinking has evolved. A negative is the sometimes tenuous segues Warburton uses to end a chapter. Seriously, you really start to notice it and laugh. This was a great way to dip my toes into philosophy. Between Russell and Warburton I feel I’ve been given enough to start the journey down the rabbit hole. Made me think. Bertrand Russell has attempted to give a brief overview of the History of Western Philosophy. In this 900 page tome he touches on the major figures, major fields of thought, and the socio-political backgrounds that influenced (and were influenced by) them. Russell also offers up some critique on these aspects, because it wouldn’t be a philosophy book if it wasn’t doing so. This description sounds like anathema to entertaining reading, and it would be if it wasn’t being tackled by someone like Russell. Bertrand has a very clear, concise, and accessible writing style, and is easily able to explain in plain language even the most complex of philosophical ideas. Normally reading philosophy reminds me of reading genetics textbooks, as it is overstuffed with pedantry and jargon, Russell makes it feel like he is uses no jargon or technical terms. It should also be noted that Russell is snarky to the point that you find yourself having to laugh and share his comment with someone. His comments are withering and witty, but they also serve as a great way of highlighting the flaws with certain arguments or “great” thinkers. If there are a few takeaway points from this book it is that the great minds were way ahead of their time, but that those same minds were confined by the structures of their time. It makes you wonder how many of today’s ideas are going to look silly and biased to future peoples. This isn’t really a book to read about certain philosophers, nor fields of thought. 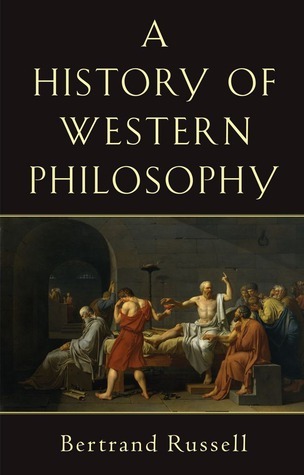 A History of Western Philosophy is more a cliff notes version of several thousand years of thinking. Definitely an emphasis on the history and context. And it is all viewed through Russell’s eyes, his snarky, snarky, eyes.